The hysterical Shia regime tries to stop conversions to Islam/Sunnah by distributing thousands of books, mocking Sunnis! Iran distributes more than 6000 books mocking Sunni beliefs in Ahwaz, Khuzestan province.More than 6000 books mocking Sunni beliefs were distributed on 21 July 2014 in Ahwaz, Khuzestan province of Iran. 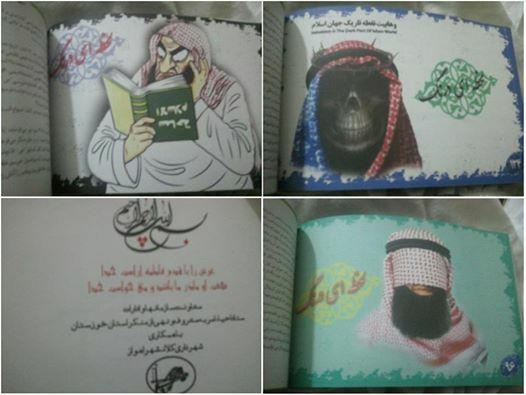 The books mock Sunni Muslims and their beliefs, frequently referring to them as ‘Wahhabi’, a term widely used in a derogatory manner by the Iranian media in reference to practicing Sunni Muslims. The books appear to be the latest attempt by the government of the Shia-majority Iran to prevent the rise of Sunni Islam among the Ahwazi Arabs in the Khuzestan province.Although the majority of the population in Khuzestan is Shia, a large number have converted to Sunni Islam in recent years, causing alarm in the Shia-led Iranian government about the growth of Sunni Islam in the area. The Iranian authorities appear determined to prevent any open display of Sunni Islam within the province, arresting Sunni converts and detaining those who actively preach Sunni Islam. Last week, Iranian security forces arrested seven Sunni converts after they held congregational Sunni Taraweeh prayers in the north of Ahwaz city. A further nine Sunni men were arrested in Qal’eh Chan’an, Khuzestan province, at the beginning of this year for ‘religious activism’ after converting to Sunni Islam. 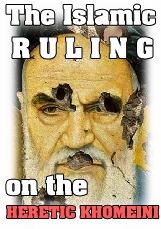 The shocking statement from the court, which attempts to force Sunni converts to leave their religion and practice Shia rituals, further highlights Iran’s persecution of the Sunni population.